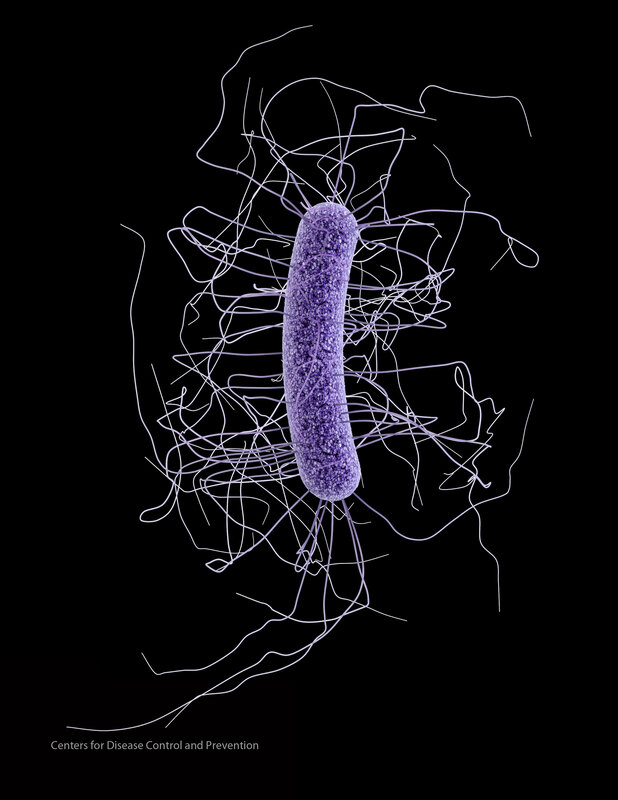 Understanding what microbial populations make certain people more susceptible to superbugs like C. difficile (pictured here) could help the medical community tackle the increasing burden of hospital-acquired infections. Everyone’s microbiome – or the host of microorganisms living on and within us — is unique and affected by genes and lifestyle factors. Imagine if our microbial communities could be used as a diagnostic or therapeutic target, giving clinicians a window into the health or disease susceptibility of a patient. That goal is now more feasible after the awarding of a Massachusetts Life Sciences Center (MLSC) grant of $4.8 million to BWH, the Forsyth Institute, Boston Children’s Hospital (BCH) and the Harvard Digestive Disease Center (HDDC) to form the collective “Massachusetts Host-Microbiome Center.” Funding will advance clinical trials targeting the microbiota while furthering the development of diagnostic tools. According to Lynn Bry, MD, PhD, director of the BWH Center for Metagenomics in the Department of Pathology, nothing quite like this robust collaboration among academic centers has ever existed to define causative effects of the microbiome in human health and disease. While other centers focus on sequence-based technologies to evaluate the gene content of colonizing microbes, the Massachusetts Host-Microbiome Center will further discoveries across medical disciplines by supporting functional models and enabling infrastructure for human clinical trials. Bry has been spearheading this work with Georg Gerber, MD, PhD, of BWH Pathology; Richard Blumberg, MD, chief of BWH’s Division of Gastroenterology, Hepatology and Endoscopy; Andrew Onderdonk, PhD, director of BWH Clinical Microbiology; Philip Stashenko, DMD, PhD, Bruce Paster, PhD, and Floyd Dewhirst, DDS, PhD, at the Forsyth Institute; and Wayne Lencer, MD, at BCH who also directs the Harvard Digestive Diseases Center with Blumberg. “When combined with the oral health expertise and resources of the Forsyth Institute, as well as BCH’s pediatric Gastroenterology and Immunology divisions, there could not be a more stellar collaboration for the future of microbiome innovation,” said Bry. Bry and her colleagues propose that specialties including gastroenterology, pathology, infectious disease, endocrinology, neonatology and others will benefit from improved understanding of the microbiome and its application in patient care. Understanding what microbiota in our guts makes patients more susceptible to superbugs like C. difficile and E. coli could help the medical community tackle the increasing burden of hospital-acquired infections. Studying inflammatory bowel disease patients and the dynamics of their microbiota over time could help uncover patterns predictive of disease flares. Patients with diabetes or food allergies could be missing certain microorganisms, and it’s important for their clinicians to know that. Even in pharmacology, if the metabolic capacity of the microbiome could be tapped into, drug activation and toxicity could be better understood. Early studies in the Center have also identified microbial contributions to post-natal brain development and expression of neurotransmitter-like molecules. The center plans to begin new clinical and industry collaborations, making Massachusetts a leader in the U.S. for harnessing information related to the microbiome. “With the help of the MLSC grant, the microbiome can be better utilized to identify each person’s unique reactions and predispositions to disease, with the same personalization as a fingerprint,” said Bry.